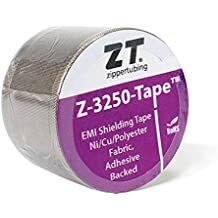 Prt 1553 135 - Shielding Tapes And Wraps - Emi Shielding - Products - ZT | Zippertubing Co.
0.075" - 0.125" 0.126" - 0.174" 0.175" - 0.249" 0.25" - 0.37" 0.38" - 0.49" 0.50" - 0.62" 0.63" - 0.74" 0.75" - 0.87" 0.88" - 1.0"
PRT® (1553-135) combines the proven benefits of heat shrinkable tubing (SAE-AMSDTL23053/5A), a hot melt adhesive environmental seal and EMI shielding with the installation ease of using Zippertubing's wrap around products. 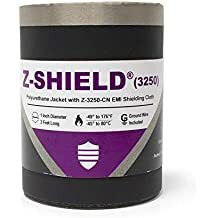 This product is designed to provide an environmentally sealed repair to both the shield and the outer jacket of damaged, shielded cable from 0.075" to 1.00" in diameter. Testing has shown that a PRT® (1553-135) repaired shielded cable will perform at or near the original shield cable performance levels. This product has an operational temperature range of -55° to 135°C (-67° to 275°F). Diameter Range 0.075" - 0.125" 0.126" - 0.174" 0.175" - 0.249" 0.25" - 0.37" 0.38" - 0.49" 0.50" - 0.62" 0.63" - 0.74" 0.75" - 0.87" 0.88" - 1.0"
Note: To achieve an environmentally sealed and EMI Shielded repair on cable sizes greater than .25 inches select the appropriate size "PRT", "Z-Block-135" Tape and "Z-3250-Tape" products separately.